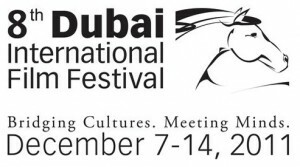 For one week, Dubai plays host to a fantastic International Film Festival. 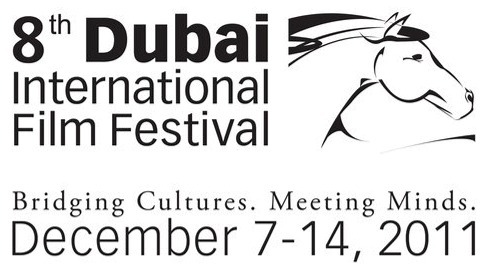 This year the Dubai International Film Festival will be held from the 7th to the 14th of December. There are in total 171 films from 56 countries with 46 being world premieres. There is a Cinema of the World section and a funky Midnight Mayhem selection of late night chillers. I liked the sound of Kill List, a British thriller produced by Ben Wheatly, that starts at a minute to midnight on December the 8th at Emirates Mall. We bought tickets to the world premiere of Ladies Vs Ricky Bahl, a Bollywood extravaganza with an award winning cast. I saw the Premiere of Slumdog Millionaire here a couple of years ago and I highly recommend experiencing the glittering atmosphere at the Madinat Arena as a pre-Christmas treat. There is a range of Indian cinema on show at the festival including the film Laptop whose story revolves around how this object somehow connects several lives both rich and poor as it changes hands. It is set in Kolkata, Eastern India and directed by Kaushik Ganguly who has exhibited in Berlin and Los Angeles. Of course you need to be very highly connected to get tickets to Mission Impossible:Ghost Protocol, not because everyone wants to see Tom Cruise scale the dizzy heights of the Burj Khalifa but this Gala screening may be attended by invitation only ! There are a large number of films from South East Asia this year and it’s really hard to choose which ones to see as the plots and story lines all sound fascinating and not mainstream at all. I have had one recommendation by a Taiwanese friend based in Dubai who insists we see the international premiere of Thief, a short film set in the exotic night market of Taipei. The story of a South Korean film that centres on a couple who have decided to part but end up having to spend a day together due to a storm also sounds like food for thought, Handa Saranghaji Anneunda (Come Rain or Shine), that’s on at 9.15 in the evening on the 9th of December at Emirates Mall. Obviously being based in Dubai, there are a number of Middle Eastern offerings in the Arabian Nights section. I liked the sound of La nuit, elles dansent which translates as At Night, They Dance. It’s a Canadian produced film with Arabic dialogue (English subtitles) and this fly on the wall documentary takes a close look at the real trials and tribulations of an Egyptian belly dancing clan in working class Cairo. The European focus this year is on German films and there is an impressive selection of films from tales about gritty modern day life as a single mum, to Unter Schnee (Under Snow) which although directed by critically acclaimed Ulrike Ottinger, is set in Japan’s snowy Echigo region and takes an artistic look at specific ways people adapt to the landscape. And what about the kids at Christmas ? I picked out Dik Trom which strangely translates to Chubby Drums, this Dutch offering is about a young boy who lives in Roundville, but sadly circumstances move him and family to Thin City where everyone is obsessed with their appearance, need I say more ! Click here for how to book tickets and venues and I’d love to know what you chose to see. And to the organisers, thank you but may we have a longer festival next year?